Administrative Assistant responsibilities include greeting the public from the front desk, answering the phone, preparing reports and maintaining appropriate filing systems. The ideal candidate should have excellent oral and written communication skills and be able to organize their work using tools, like MS Excel. Knowledge of Bloomerang, Firespring or Aplos software a huge plus! If you have previous experience with a non-profit arts organization we’d like to meet you. Ultimately, a successful Admin Assistant should ensure the efficient and smooth day-to-day operation of our office. 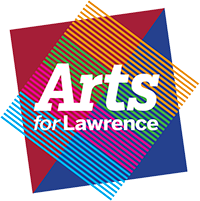 Interested applicants should email their resume, references and cover letter to Judy Byron judybyron@artsforlawrence.org (no phone calls please).